A warm welcome to our new subscribers! I wish you will find My English Club fun and instructive and I look forward to welcome you as a new valued member soon. Read, learn and communicate around the world! Please feel free to contribute to these pages when you have a minute. They are meant to be a platform for exchanging ideas, stories and opinions - an ideal medium for practicing your English, which should be used to the full. Together, let's bring it alive, let's make it the welcoming community you wished for, when you joined. Use the Comments facility at the end of every page and start making friends worldwide. You and your friends can always subscribe individually through the form on My English Club If anybody mentions to you that they are interested in receiving it, please tell them this, with thanks. Also, they can read the previous issues on Back Issues for English Corner E-zine. Of course, you can also unsubscribe at any point, by using the link at the end of any issue of the e-zine, should you wish. 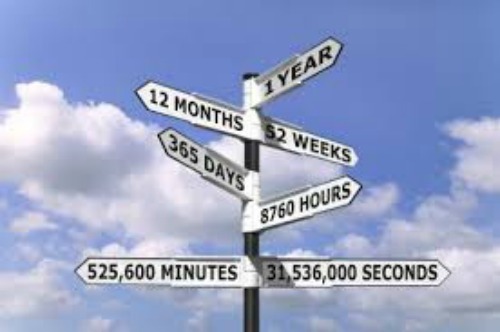 Well my friends, this week we’re celebrating together the first anniversary of our English Corner E-zine! I’m happy to see that most of you are still with us, since the times when I was sharing our English Corner Social Clubs at Web in Suzhou, China and I’m even happier to see how our readership increased over this year. Would you believe it - I had 5 social club lessons that week! Visit Issue 001 on the Back Issues for English Corner E-zine to see the funny sounding and interesting words we considered then, including onomatopoeia (words like ‘buzz’, ‘hiss’, sizzle’ and ‘meow’), as well as business writing, with some good online writing resources and finally, some thoughts on learning English. Enjoy! Next week, I shall finish the term with my students in Al Yamamah University and within a month, I shall be starting my journey from London – exactly a month from today, on Friday 12 June. From then on, I intend to do some changes which I think you’ll be happy about. I shall start a blog on this website, where you will be able to read my travelling diary and follow my itinerary. I also intend to write my stories in this blog over the following year, to which you will be welcome to contribute with opinions and suggestions. The best addition for you is going to be a series of new exercises on various topics from our lessons in grammar, reading and pronunciation. I always felt that these lessons are good to have, but without the adequate practice, the theory would not take you very far. Sadly, I never had the time to design and upload such exercises so far. However, during the summer and all along the 50-week long journey that I’m planning, I shall develop a good collection of useful exercises for you, so keep visiting! To give you an idea about the kind of exercises we shall have, they will be designed to help those students of mine who are struggling with certain issues, mainly in grammar, but also in writing and communicating, who have expressed an interest to do extra work in order to improve their linguistic skills, regardless of their level. These exercises will then be a good foundation for my future groups of students, wherever in the world they may be. Who knows? It may be you! Well, that’s enough talking, let’s get to the business here... Let’s proceed with this week's lessons and we’ll have a little game at the end. Enjoy! We started studying three subjects back in September 2014: pronunciation and grammar for improving your communication skills, as well as website design and development, for those advanced students of ours who would like to apply their English to building a business online. Once we covered the basics of pronunciation, we started a new course in reading, which we finished last month (March 2015). Following some recent requests, we started a section on educational games, to add the fun into your learning. I do hope you like these. For those of you who still say “me too” and “he too” and only use “also” to express addition, let’s now consider a few more expressions for adding something to your topic. “She bought a couple of dresses; she also got herself a nice matching hat.” (i.e. ‘in addition to buying a couple of dresses’) … She got herself a nice matching hattoo/as well. … In addition, she got herself a nice matching hat. - in addition usually sits at the beginning of a sentence. It is possible to start a sentence with so, to convey also or too with the function of a substitute form. Only that in this case we have and inversion of the subject and the operator, as in the example below. If you don’t know about operators, you can review this topic in Issue 042 . There is another distinction between positive meaning, and for this we use so, too, etc.) and the negative meaning, for which we use neither, and nor . For the negative clauses, there is also the corresponding any-word and the adverb either , which occurs at the end of a clause. You can never underestimate the importance of receiving traffic from a range of sources. During the next few lessons, I'll explore modalities of working effectively with search engines, adding high-quality links to our website and starting to grow a reputation using social media marketing. Step 1 -- Understand the big picture of diversified traffic. • Creating more high-value content pages. • Being "accessible" and open for business regardless of the "door" your visitor uses (desktop computer, laptop, tablet, smartphone). Search via mobile devices continues to grow. A responsive website design will encourage mobile visitors to explore your pages. • Establishing your presence in the search engines. • Creating an engaging social media presence. Your traffic will grow as a snowball increasing in size and speed as it rolls forward down the hill. But it can only grow if you please both humans and the search engines... naturally and effectively. Blend those keywords into excellent content that creates human delight. Happy, satisfied visitors share your content with their friends, which the engines also measure. But getting only the "on-page" right is not enough - you also need to meet the search engines' "off-page" criteria, which collectively measure human approval of a web page. The more traffic, the more off-page behaviour generated by humans (ex., inbound links to your site, time spent on your site). The more, and the better, off-page criteria, the higher your pages rank. Which brings more targeted traffic... the snowball grows and grows. You also need to meet the social needs of fans and followers on your Facebook page, your Twitter account, and/or other social media where you participate. The more closely you meet their needs, the more likely it is that they will visit your site when they need information. And that targeted traffic snowball continues to grow. Later, once your online business is established, it can make sense to supplement free traffic with paid traffic. If you sell a high-profit product or service, for example, advertising for customers can be a great way to take your business to the next level. It's even possible to stop relying on free traffic altogether. But when you are just starting out, building free, targeted traffic is the best low-risk route to online business success. And the best source of targeted traffic is still search engines. When you "get it right" with the engines, they deliver high volumes of visitors for months, even years. Another way of getting more results from free traffic is by creating a mobile-optimized version of your website, which you can do with Mobilize It!. It provides design and content optimization tools just for the mobile version of your site. As you can see, there is a lot to do, to grow your website, but if you think of it as growing your business, and if you keep at it until you reach your goal – monetizing, then… wouldn’t you do it gladly? OK, not a spectacular website, but I am happy to see its traffic rising consistently, based on my work on it in parallel to a full-time job. 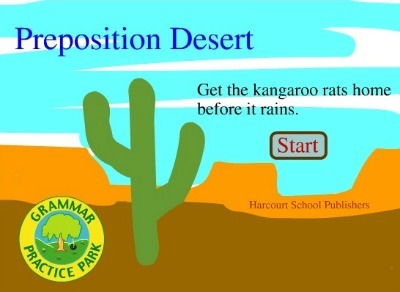 This Preposition Desert game applies to young students or beginners of English. However, if you’re more advanced and you’re still mixing your prepositions, or if you aren’t even aware of the correct use of these little words, then I would recommend this game to you as well. By the end of one complete round it will be impossible to not get the idea of this versatile part of speech. 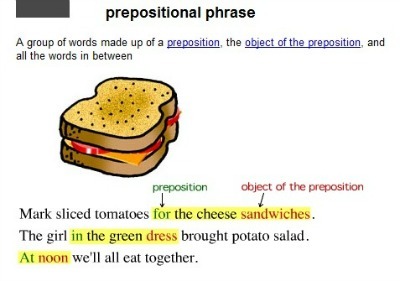 And if you’re still confused about it, then look at the end slides in this lesson, to learn about prepositions, prepositional phrases and the objects of a preposition. You can also find them on the same website. As you can see, it’s a desert, not a dessert (the sweet dish you have after dinner). 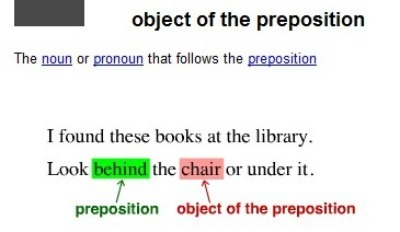 To keep the game simple, it was designed as a static display of an example in a sentence on the screen and a question about the underlined word(s), giving you only two choices: is it a preposition or is it an object of a preposition? 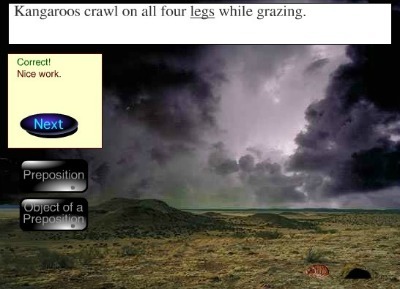 Clicking the right button would earn you a correct answer, and the baby kangaroo one step closer to safety. With each correct answer you accumulate, you get one extra baby kangaroo in line (I think the maximum is a line of 10). In this particular example ‘legs’ is an object of the preposition 'on'. If you choose the wrong answer, you will be told politely what the correct answer is, so you can learn from the experience. On the other hand, you can just sit back and watch your children play and, well … learn in the meanwhile, why not? 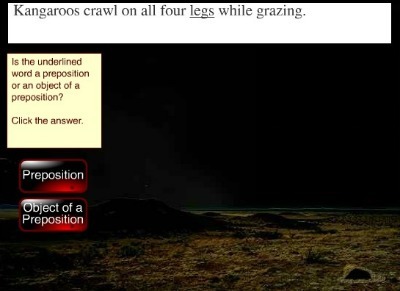 The game goes on like this until the last question and, if you answer that one correctly, all your baby kangaroos will disappear into their den and the storm will begin immediately. In this case ‘near’ is a preposition. I guessed it correctly so what happened is that all the baby kangaroos went underground into that hole in the bottom left corner and the rain started, with some sound effects, for added fun. You can even notice a pair of eyes looking out from the den, can you? a) It is designed like a steady exercise, with some funky background as a motivation booster. As long as you keep answering the questions, you get the answers immediately. 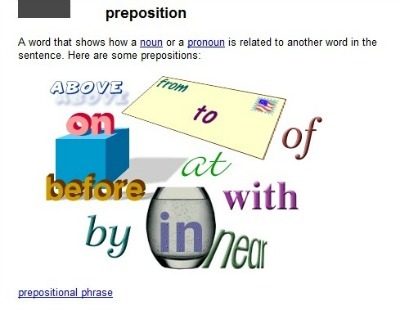 The game has enough questions for two rounds, which is just adequate for you to get around this grammar point of the prepositions and their objects. b) If you don’t have the patience to take the game, you can find the actual information about these parts of speech in the screens following the game. Well, I hope you enjoyed learning all these concepts - they are very useful. Play the game a couple of times and you'll see how all of this will get committed to your long-term memory and you won't have problems in using these in the future, either in writing or in your oral communications. I hope you find this information useful and not too confusing. Even though you're at the stage of building on it, have patience at this point in your learning and you'll be able to reap the fruit of your work later on, whichever aspect of our lessons you are concentrating on. Please feel free to comment and suggest your ideas by replying to this email - I look forward to hearing from you. If you wish to chat either with me or with other members worldwide, you can do it on My English Club .